God did not create your colleagues to be puppets; rather, he gave each person the ability to think and reason, and to express their talents and gifts in their own unique way. I hadn’t seen my friend and fraternity brother Rod Dennison for more than 30 years, so you can imagine my excitement when I saw him at a gathering of our Sigma Nu alumni. I always loved Rod’s smile because his eyes sparkled even more than his teeth when his face lit up, and his eyes were sparkling now as he approached me from across the room. I thought Rod was about to share a memory of one of the crazy incidents at our fraternity. Boy, was I wrong. “Mark Dodosh, I’ve got to thank you for the management philosophy that has guided me in running my businesses,” Rod gushed as he gave me a warm handshake and a big hug. Here was Rod, owner of a large and successful apartment painting business, thanking me for something I blurted out as a college kid during a chapter meeting of our fraternity. The funny thing was, I didn’t even remember saying those words until Rod brought them back to my mind. But somehow, I must have retained that pearl of wisdom in the recesses of my brain, because it’s the leadership philosophy that I, too, operated by during my 32 years of managing newsrooms. One of my favorite thoughts on leadership comes from the late Malcolm Forbes, founder of Forbes magazine. Forbes once said the role of the CEO (i.e., the leader) should be to set the course of the organization, hire people for every position who can do their jobs better than he or she ever could, then get out of the way and let them do their work. Even for leaders who don’t do much hiring, the first and third principles offer valuable insight into how to approach their jobs. Leadership involves pointing your people in the right direction by determining the goals for your organization or team, then providing as little coaching and guidance as needed to help your people achieve them. It does not entail directing them so closely that you might as well be doing their jobs for them. To do so stunts your people’s ability to learn, grow and flourish. As you might guess from the preceding, I am not a fan of leadership that tries to hold the reins too tightly on people — what we often call micromanaging. The word “micromanaging” brings to mind a series of full-page ads on management that W.R. Grace & Co., a chemical manufacturer, ran many years ago in The Wall Street Journal. 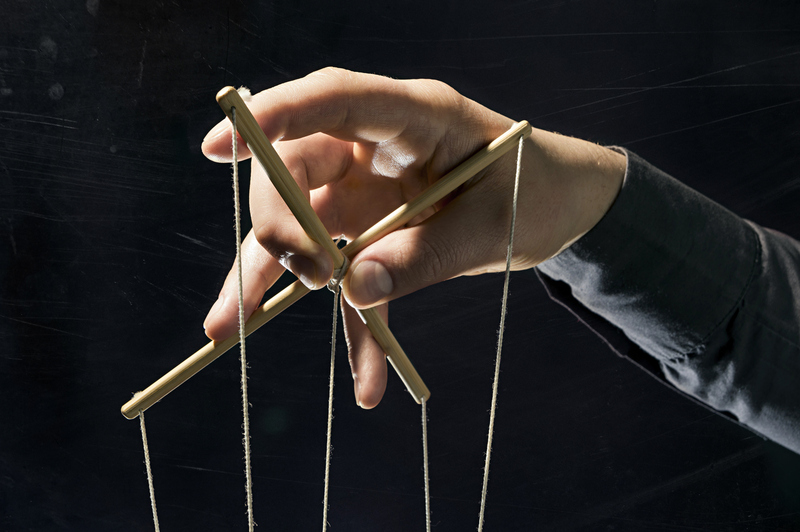 God did not create your colleagues to be puppets. Rather, he gave each person the ability to think and reason, and to express their talents and gifts in their own unique way, both in their work lives and their spiritual lives. Why would anyone want to squelch that process and deny their colleagues the opportunity to feel the joy and satisfaction of contributing to the cause? You need compile these posts into a book.